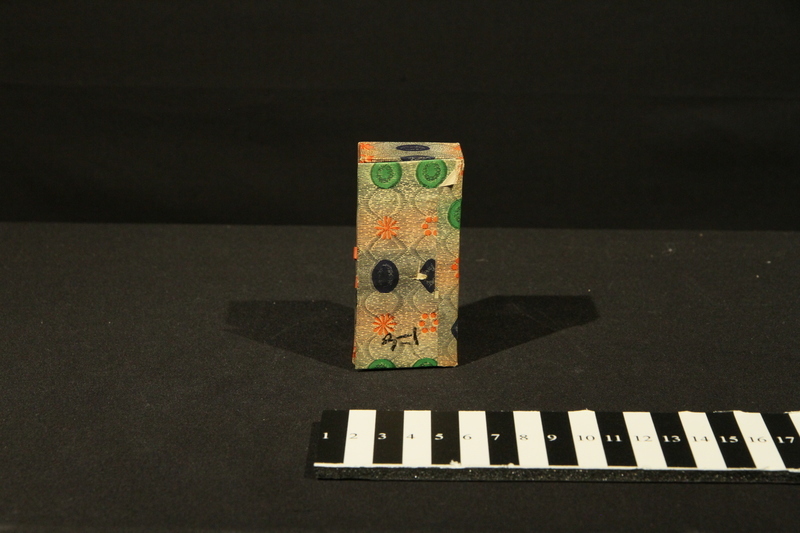 9 x 4 x 3 cm; 1 cardboard pill box; cardboard; 1 label with Chinese characters; orange, green, blue. “Sai Wong” refers to two common forms of traditional Chinese medicine. "Sai" means powder; "Wong" means pill.